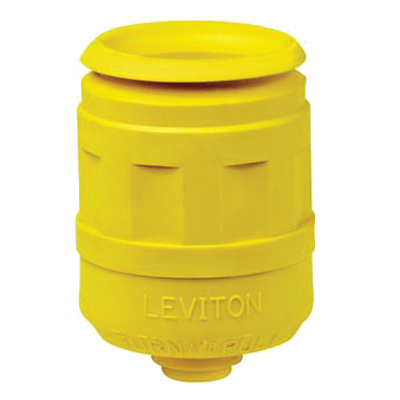 Leviton Plug boot in high visibility yellow color, features thermoplastic elastomer construction for added durability. It has a dimension of 2.73-Inch x 2-Inch. The plug boot offers outstanding protection against dirt and moisture using triple seal action. It is ideal for use with 4 and 5-wire, 20-Amp and 30-Amp straight blade industrial locking plugs. Plug boot is UL listed and CSA certified.